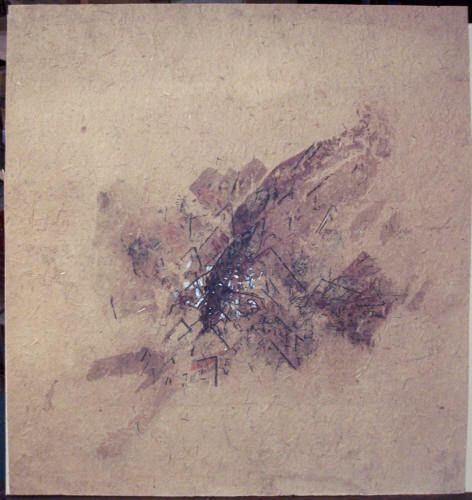 Description: Original untitled mixed media on fiber paper. Circa 1950. Signed on reverse.